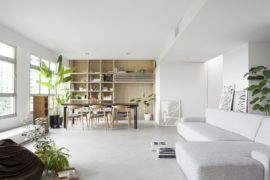 We always adore apartments and homes that maximize available space without compromising on aesthetics and practicality. 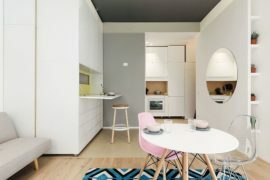 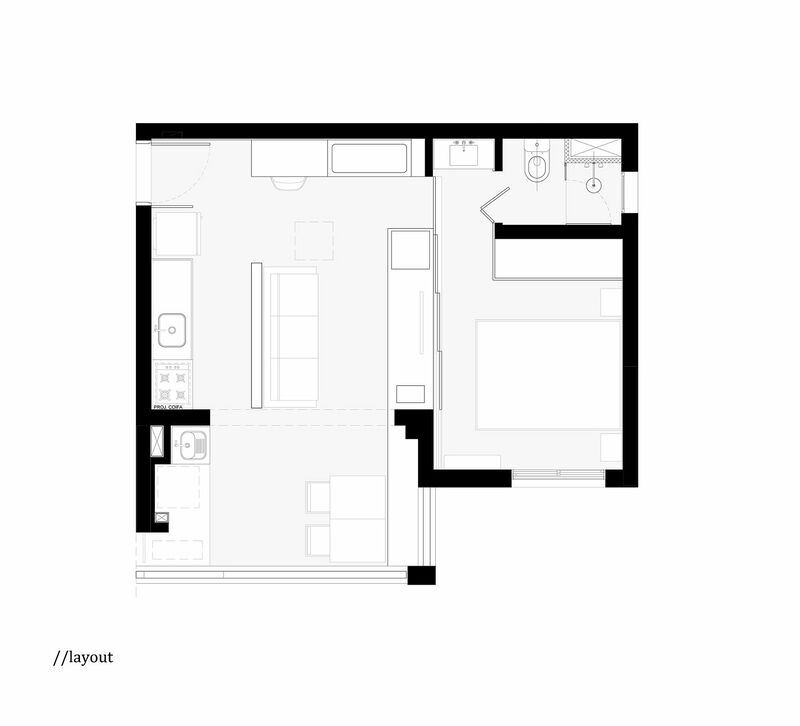 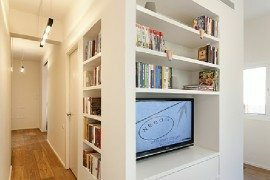 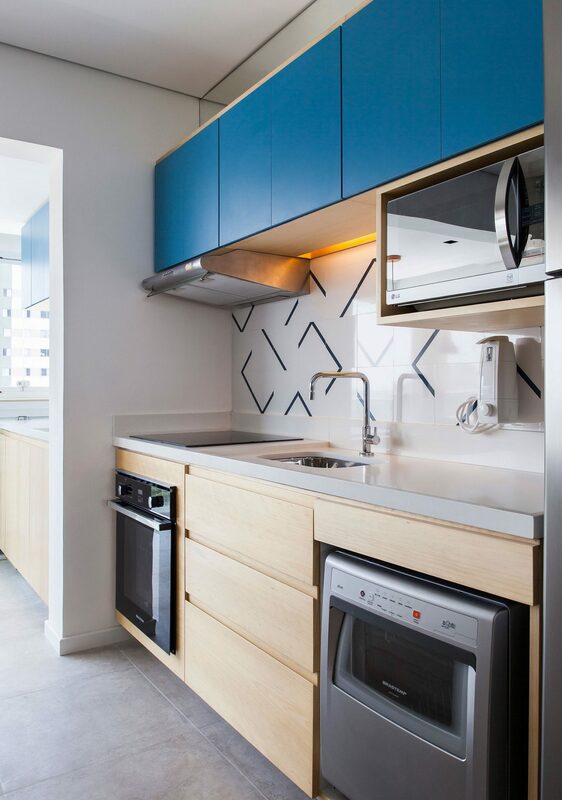 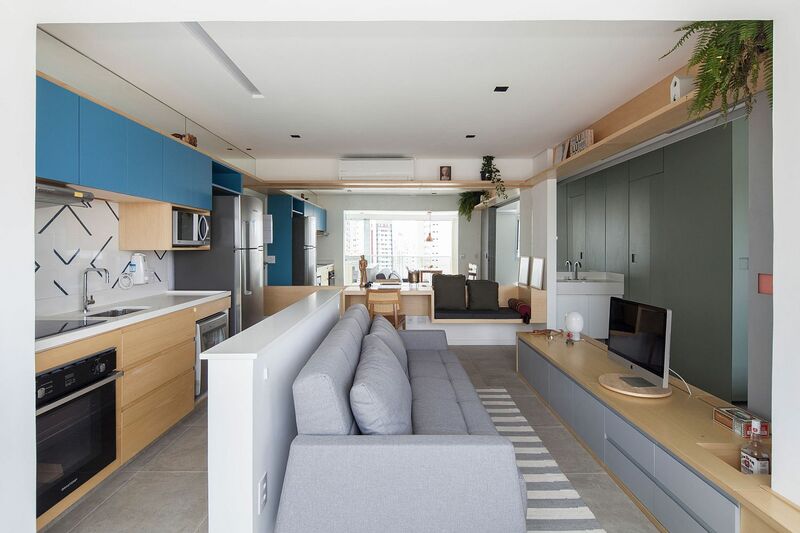 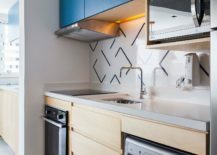 This smart design is even more evident in ultra-small apartments where every inch of space matters twice as much! 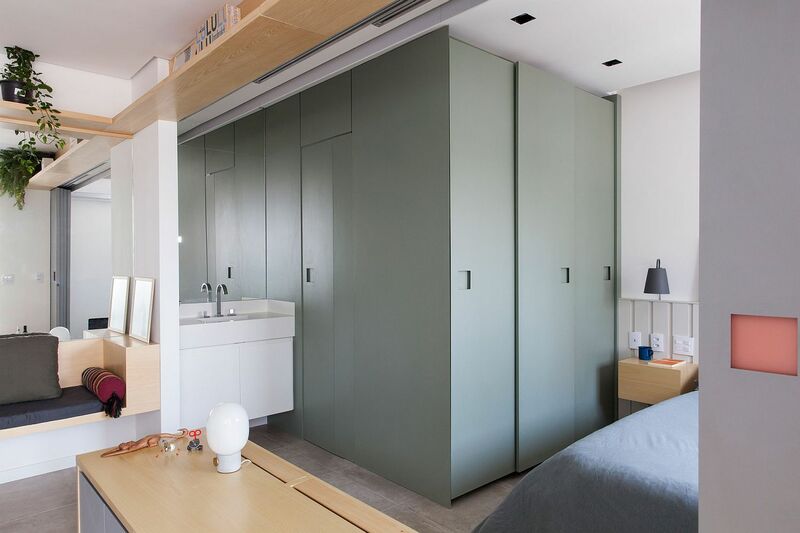 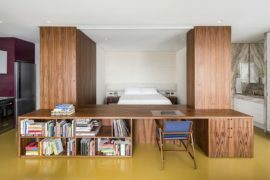 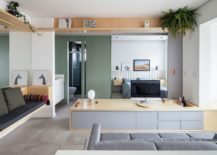 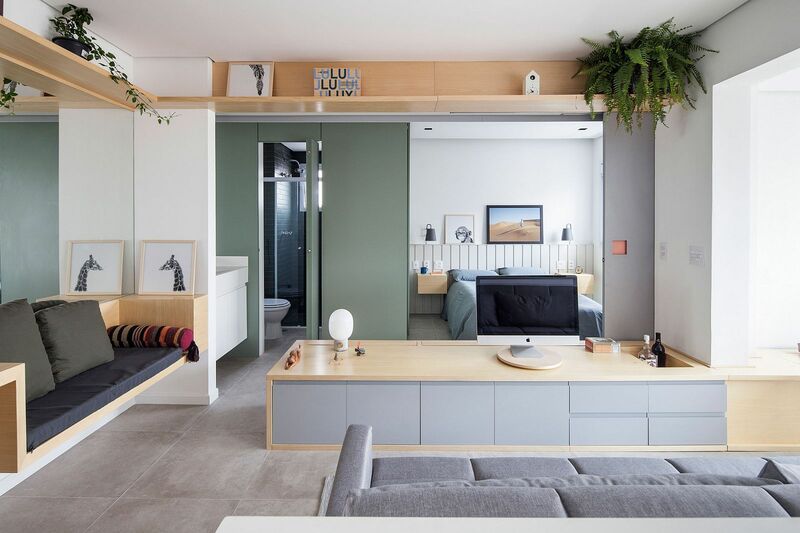 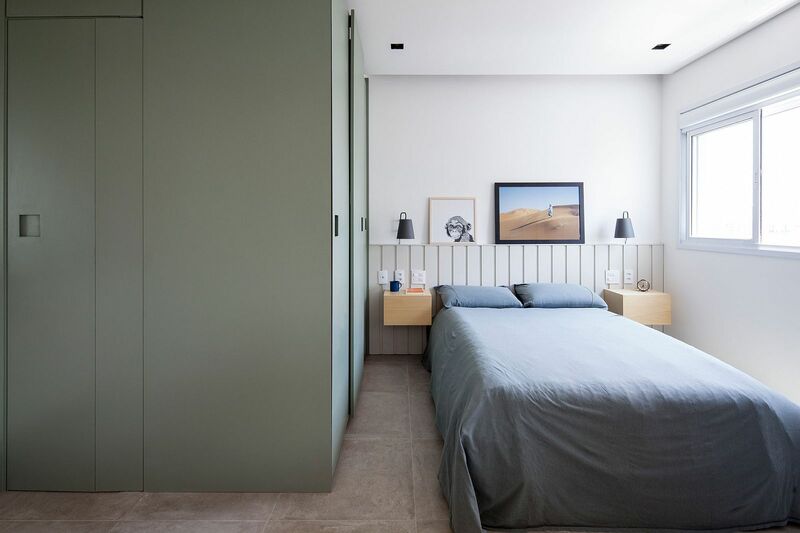 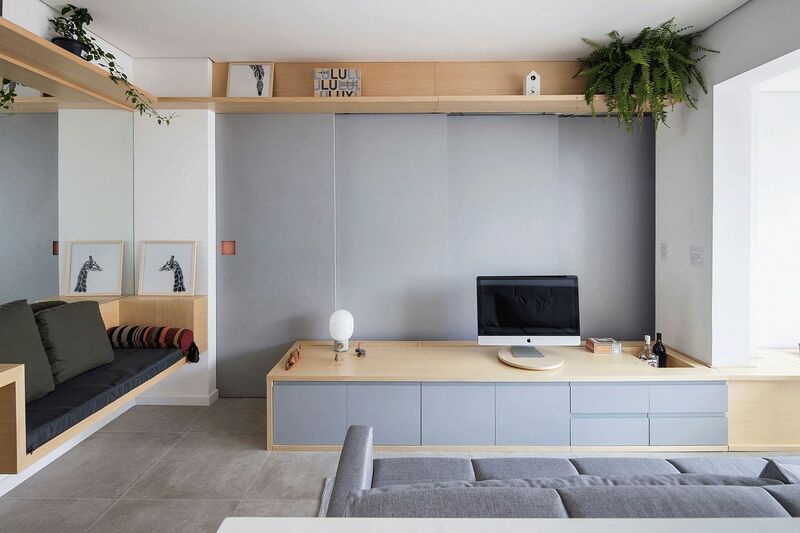 The Cazo Apartment in São Paulo is one such ingenious interior where Estúdio BRA used one of the walls to house all the décor, shelving and necessary storage units while the opposite wall is made up of a series of doors that slide open to reveal the bedroom and the bathroom. 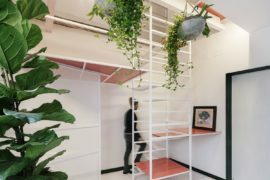 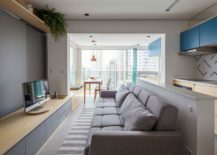 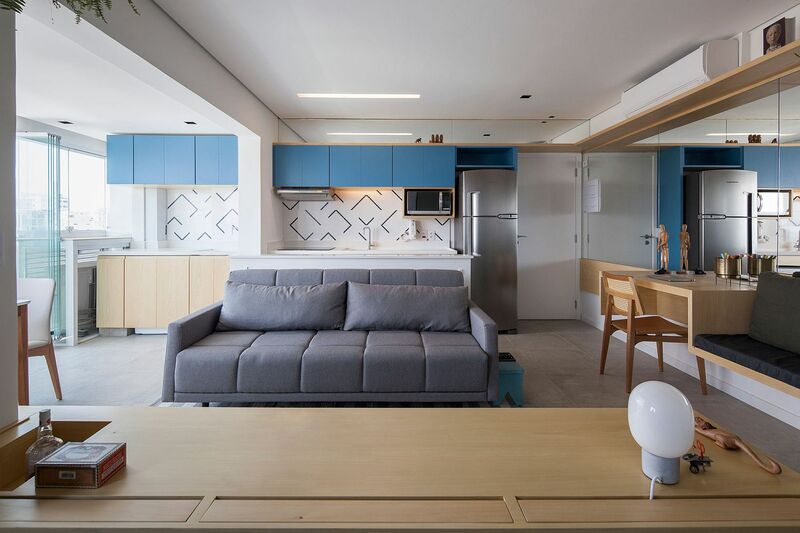 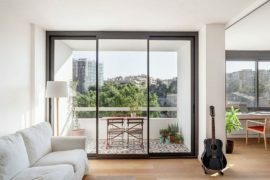 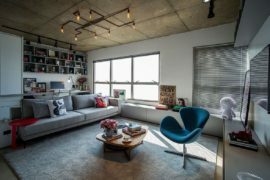 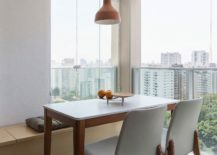 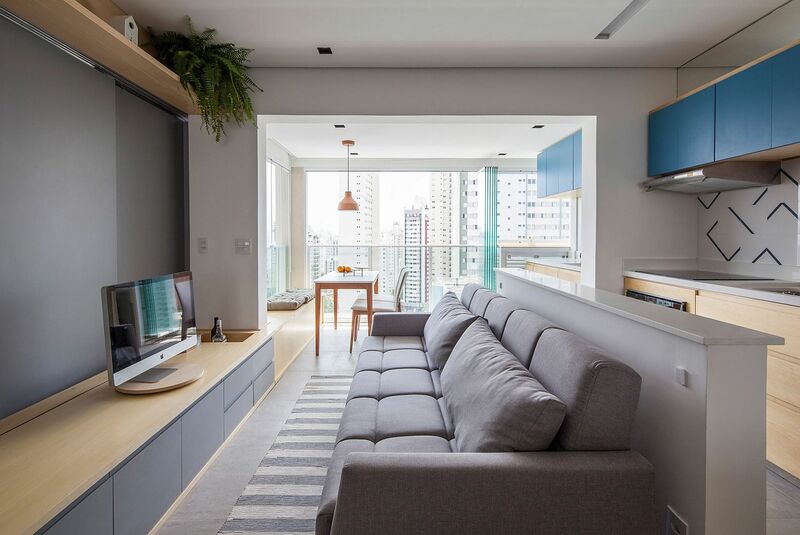 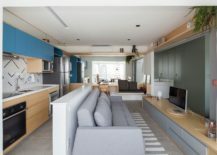 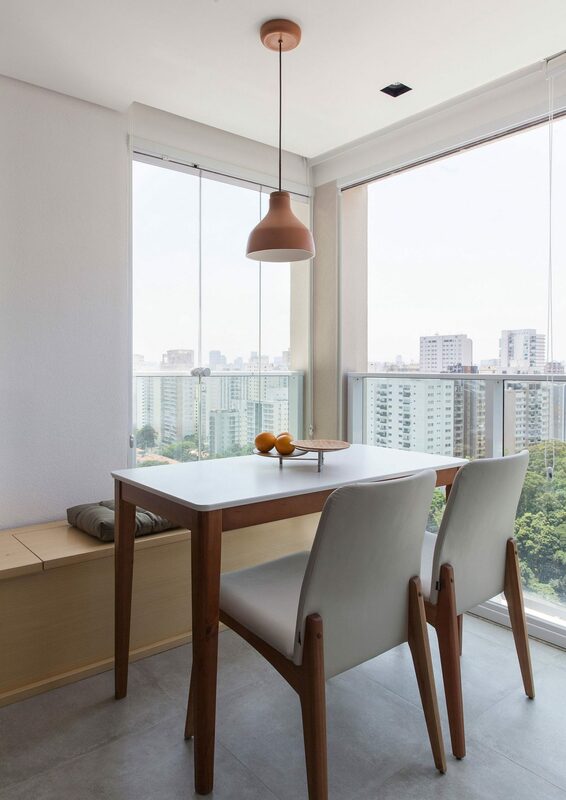 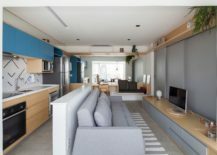 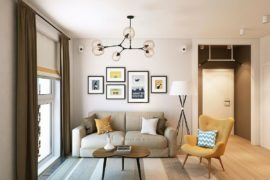 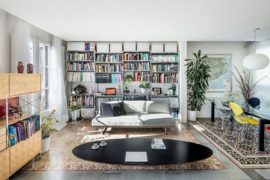 Despite having an area of just 38 square meters, this Brazilian apartment on the seventeenth floor of a skyscraper still feels cheerful and inviting. 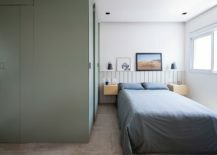 The materials are simple answers to the needs of each space, the blue and green joinery have been coated with an industrialized high-strength laminate and the furniture of the living area and the mini office have received natural pine blade, the whole apartment has the same floor porcelain gray and white painted walls, except for the bathroom that received green porcelain tiles on the floor and on its walls.